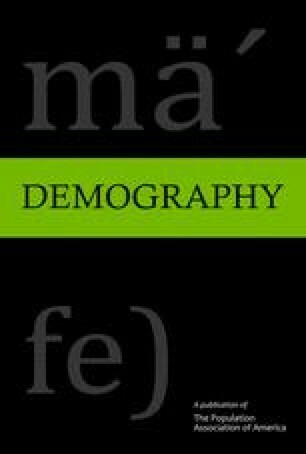 Using harmonized longitudinal data from the British Household Panel Survey (BHPS), the German Socio-Economic Panel (GSOEP), and the National Longitudinal Survey of Youth (NLSY), we trace career prospects after motherhood for five cohorts of American, British, and West German women around the 1960s. We establish wage penalties for motherhood between 9% and 18% per child, with wage losses among American and British mothers being lower than those experienced by mothers in Germany. Labor market mechanisms generating the observed wage penalty for motherhood differ markedly across countries, however. For British and American women, work interruptions and subsequent mobility into mother-friendly jobs fully account for mothers’ wage losses. In contrast, respective penalties are considerably smaller in Germany, yet we observe a substantial residual wage penalty that is unaccounted for by mothers’ observable labor market behavior. We interpret this finding as indicating a comparatively more pronounced role for statistical discrimination against mothers in the German labor market.